Pantothenic acid (vitamin B5) plays an important role in supporting the adrenal glands in its production of natural cortisone. Vitamin C supports detox and correct status of histamine levels. We use vitamin C from Pureway®, it’s the gentle vitamin C.
Allergy support is just a drink away! 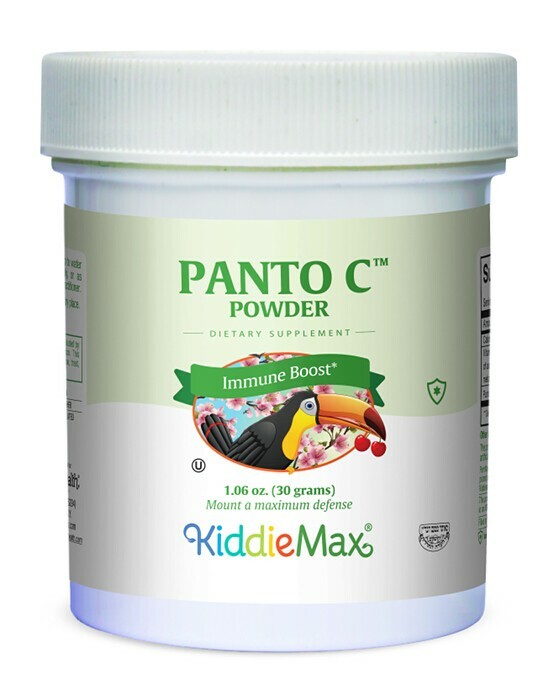 Get Panto C™ Powder today! This product contains no animal products, wheat, gluten, yeast, salt, sugar, milk, artificial flavors, colorings or preservatives. PureWay-C® is a registered trademark of Innovation Laboratories, Inc. • KiddieMax® is a registered trademark of Maxi Health Research® LLC.